Planning a camping trip or holiday away? A kit of multi-purpose natural remedies is great to keep on hand for dealing with issues like mozzie bites, sunburn, sore muscles and other minor conditions that may dampen the fun. Read on to find out the must have products we pack in our natural remedy travel kit. This tropical healing oil, tamanu, is extracted from the nuts of the tamanu tree (Calophyllum inophyllum), which is found in Polynesia, Melanesia, South India, Sri Lanka, Vietnam and Thailand, and Northern Territory, Australia. It is a thick, dark green oil that has a very distinctive nutty (like walnut), woody aroma. Tamanu oil is fast becoming known as one of the most powerful oils for skin care due to its remarkable skin healing and soothing abilities. As a natural remedy it boasts antioxidant, antibacterial, antimicrobial, anti-inflammatory and anti-itch properties. It is incredibly useful and handy to keep on you when travelling, especially if camping or spending a lot of time outdoors and walking or hiking. 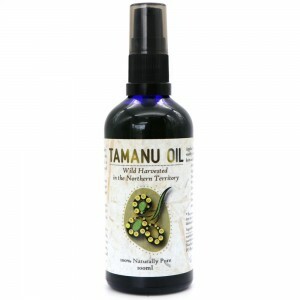 Use tamanu oil to soothe and heal just about any itchy, irritated, inflamed skin condition, from blisters, to bug bites to sunburn. 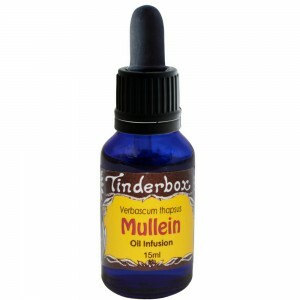 Mullein oil infusion is a potent topical pain killer that is produced by macerating the yellow flowers of mullein (Verbascum thapsus) in extra virgin olive oil. Mullein has expectorant, antispasmodic, anti-inflammatory and vulnerary properties. It is also known to be a mild sedative. If you are a swimmer or surfer, you may have experienced swimmer’s ear – an infection that results from water left in the ear canal. Mullein is actually a fantastic natural remedy to treat this issue, so take this with you if you are heading away on a beach holiday or going to be swimming regularly. Healing bentonite clay comes from volcanic ash that has fallen into bodies of water. When the water evaporates, mineral rich beds of bentonite clay are left behind, and hence it contains a range of important trace minerals, including magnesium, potassium and calcium. Bentonite clay has a strong negative electromagnetic charge, and when activated by water, it acts as a magnet in and on our bodies, pulling toxins and metals to it. 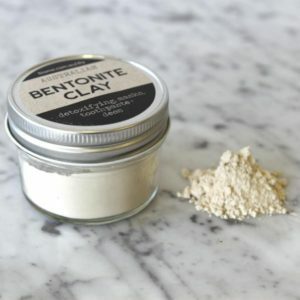 Bentonite clay is fantastic natural remedy for treating the rash and irritation that results from brushing up against poison ivy or poison oak. It provides protection against urushiol, the irritating oil found in those plants that causes a reaction. To treat a rash caused by poison ivy (or urushiol), combine bentonite clay with a little water to form a paste. Cover the irritated skin in a thick layer of the clay mix. Wrap a bandage over the area and leave for at least 4 hours. Wash off and repeat if needed. Muscle aches, cramps, join pain or a sore back can really dampen a trip away, so a balm to soothe these aches and pains can be really handy. Botanical Blessings aches and pains balm is an infusion of Comfrey, Arnica, St Johns Wort, Ginger, Eucalyptus, Camphor, Wintergreen and is a well known natural remedy that reduces inflammation, relieves pain and speeds recovery time. To relieve aches and pains, massage into the affected area for a few minutes to allow the oils to penetrate.